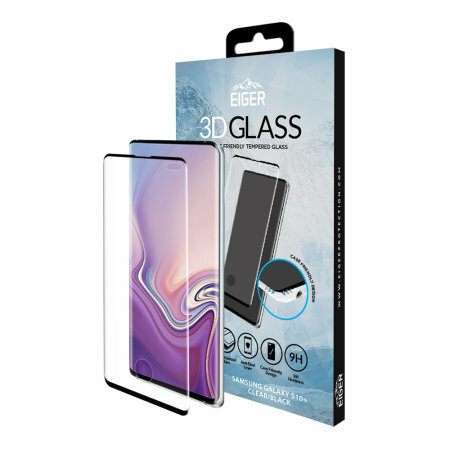 Introducing the ultimate in screen protection for the Samsung Galaxy S10 Plus, the case compatible 3D Glass by Eiger is made from premium real glass with rounded edging and anti-shatter film. Love this screen protector. Fits good with my case and allows me to still use my fingerprint. The only issue I had was that it took over a month to arrive. Tempered Glass Screen Protectors are so much better than the thin plastic screen protectors which only help avoid scratches. I have been using these since I dropped my S8+ and the screen cracked. Fitted one of these on the S8+ and they saved the phone a number of times, yes the screen protector cracked, but it did its job and saved the phone so it was a must have for my new S10+.. Highly recommended. It's hard to find a glass screen protector for the Galaxy S10 Plus. Apparently Samsung didn't think their fingerprint technology through as far as people who want tempered glass for the screen protector. 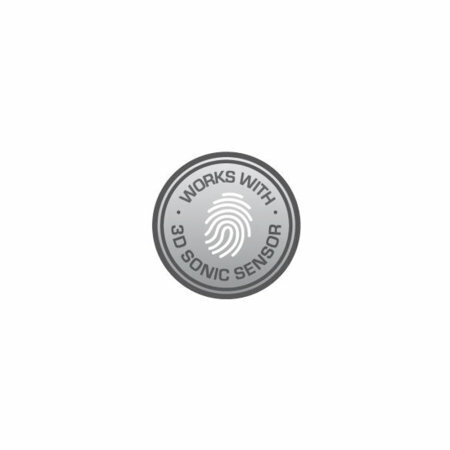 This has a circle opening for the fingerprint (should you choose to use it) so all is good. Once I found the setting on the phone that allowed me to make the screen more touch sensitive, I was in heaven with this screen protector. Designed to be compatible with the majority of phone cases, the Eiger case friendly glass features a smaller cut edge to ensure it does not lift when used with a case. The Eiger 3D Glass screen protector is made from a chemically reinforced glass, combined with an anti-shatter film that maintains perfect image clarity while protecting your Samsung Galaxy S10 Plus' screen from scratches and external shocks. 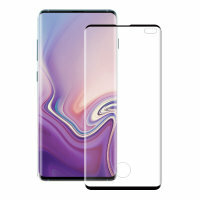 The 3D Glass is a unique glass screen protector in that it is specially designed with rounded edges to be more chip-resistant and deflects shock from bumps and drops in order to reduce the likelihood of screen damage. Engineered to provide superior screen protection, the Eiger 3D Glass screen protector is only 0.33 mm thick - so you can be sure it is safe from harm while looking as good as new without added bulk. As this is a premium glass screen protector and not a film, it does not bubble at all on application. In addition, the Fluorine coating allows for easy removal should the 3D Glass be damaged or if you just want to swap it out for another colour. 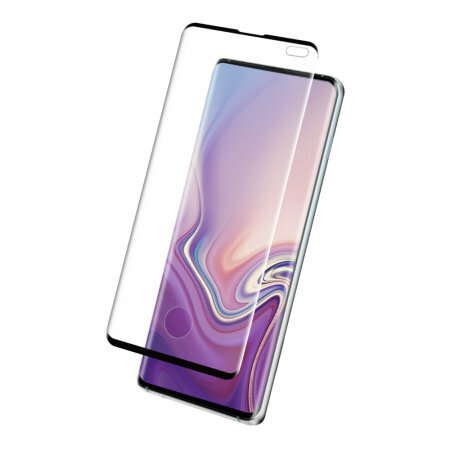 Designed specifically for the Samsung Galaxy S10 Plus, the Eiger 3D Glass screen protector offers a perfect fit for your device. Featuring cut-outs for the camera, sensors, speaker and home button.